Max Security are the specialists in all things security door installation Hindmarsh Valley. The team at Max Security are your best bet for all things safety and security for your home or business. Is your current screen door in need of replacing? Do you want peace of mind at night or when you are away for the day? Then Max Security are the team for you, as you cant go past our Security Door installation Hindmarsh Valley. We offer everything from a free measure and quote to expert advice in terms of colours, security mesh options, designs and sizes. In order to find the best suitable option to suit your home call us today. Here at Max Security Doors & Screens we are the specialists in all things security door installation Hindmarsh Valley. In fact, did you know that we have of the largest showrooms the southern suburbs of Adelaide. We have an exclusive range of Crimsafe products and services that will leave your home as safe as possible. So for all of our services security door installation Hindmarsh Valley call us today. Security Door Installation Hindmarsh Valley, Max Security Are Your Local Specialists In All Things Security Door Installations Hindmarsh Valley. 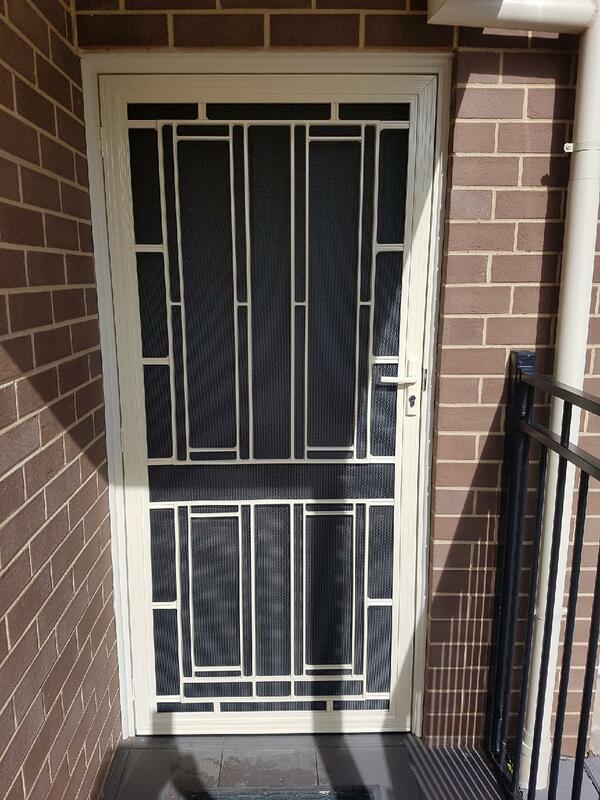 We have just recently installed a security door installation Hindmarsh Valley at a clients house. This security door with a cream door and vision restricted Crimsafe security mesh was recently installed and has been a big hit with the family it has been installed for. The client in this example has chosen to go with the colour cream to fit in with the current colour scheme and surroundings. The security door and security screen are a great combination in any installation. This security door showcases the latest technologies in Crimsafe security locks and security door. Not only this, but the door chosen also includes the most durable and strongest security mesh in the market place and is one the safest doors that you could choose from. For the best quality security door Hindmarsh Valley you have come to right place. This particular product is perfect when it comes to beach houses and homes for all your holiday needs. If you would like something similar to this, or even just want to get a free measure and quote and see what other options are available please contact us on 08 8186 5733 and one of our friendly staff will help you out.